WhatsApp is one of the biggest social messaging apps in the world, which is already used by more than 1.5 billion people. While the app is pretty reliable, it can sometimes malfunction as well. For instance, even after being compatible with iOS 12/12.2, there have been complaints from users about iOS 12/12.2 WhatsApp problem. Sometimes, WhatsApp keeps crashing in iOS 12/12.2 while at times WhatsApp becomes temporarily unavailable on iPhone. Read on and learn how to solve these common WhatsApp issues in iOS 12. 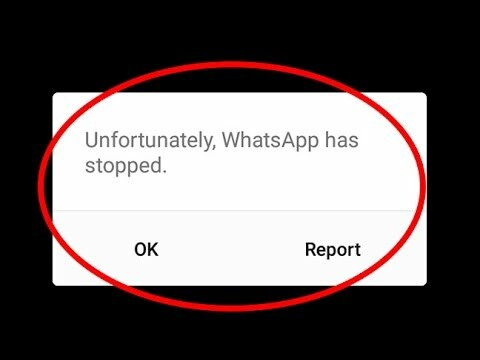 If you have just updated your phone, then chances are that you might be getting the WhatsApp crashing on iOS 12/12.2 prompt. It mostly happens when there is a compatibility issue with WhatsApp and iOS 12/12.2. Sometimes, there could be overwriting of settings or a clash between certain features as well, which can crash WhatsApp. If your phone hasn’t updated WhatsApp during the iOS 12/12.2 upgrade, then you might face this iOS 12/12.2 WhatsApp problem. The easiest way to fix this is by updating WhatsApp. Go to the App Store on your phone and tap on the “Updates” option. Here, you can see all the apps with pending updates. Find WhatsApp and tap on the “Update” button. If an update won’t fix WhatsApp crashing on iOS 12/12.2, then you might need to reinstall the app. 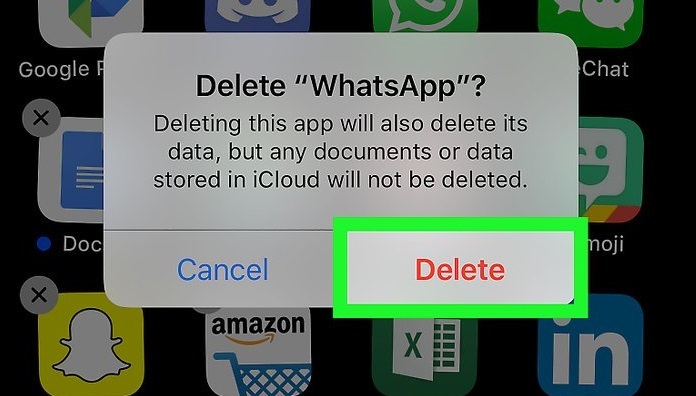 Hold the WhatsApp icon, tap on the remove button, and delete the app. Just make sure that you have already taken a backup of your WhatsApp chats beforehand. 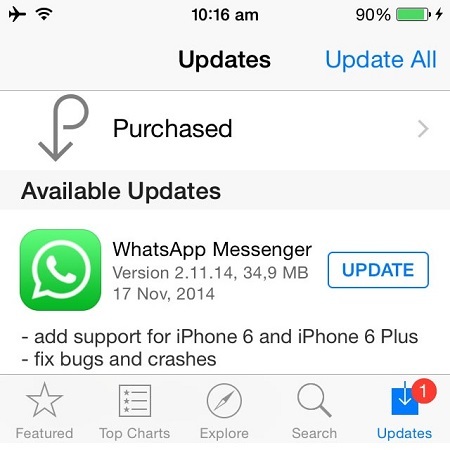 Now, restart your phone and go to the App Store again to install WhatsApp. 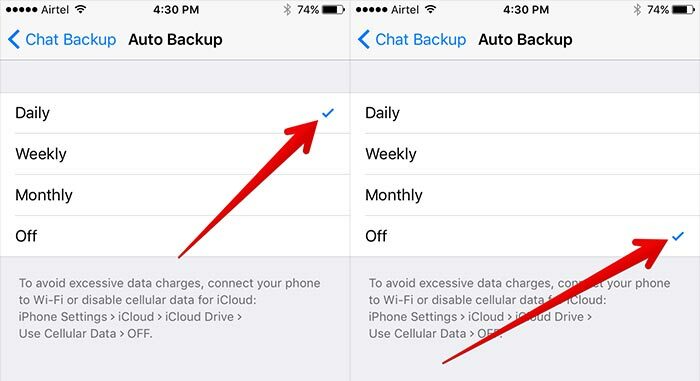 WhatsApp allows us to take a backup of our chats on iCloud. Though, if there is a problem with your iCloud account, then it can cause WhatsApp to crash unexpectedly. To avoid this, just go to your Account Settings > Chat Backup > Auto Backup and manually turn it “off”. Just like other popular social apps, WhatsApp can also track our location. Since iOS 12/12.2 has further strengthened the security for its users, the location sharing feature can cause some conflict with WhatsApp. If your WhatsApp keeps crashing on iOS 12/12.2 even after following the above-mentioned tips, then this could be an issue. 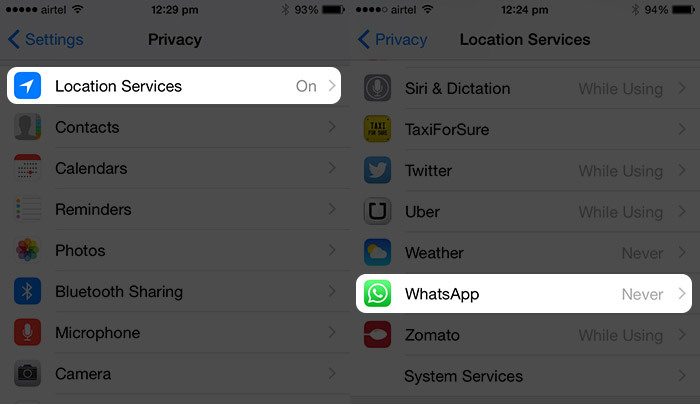 Go to your phone’s Location Sharing feature and turn it off for WhatsApp. WhatsApp notifications not working on iOS 12/12.2 is probably one of the most common problems related to the app. At first, users don’t even notice the iOS 12 WhatsApp notification problem. Even after getting messages from their contacts on WhatsApp, the app doesn’t display relevant notifications. There could be an issue with either WhatsApp or your device regarding this. 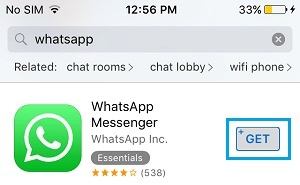 You might already be familiar with the WhatsApp Web feature which allows us to access WhatsApp on our computer. If you are using WhatsApp web, then you might get iOS 12/12.2 WhatsApp notification problem as well. There could be a delay in notifications or you might not get them at all. Therefore, simply close the current session of WhatsApp Web on your browser. Also, go to the WhatsApp Web settings on the app and see the present active sessions. From here, you can log out of them as well. If your WhatsApp notifications are not working on iOS 12/12.2, then try to forcefully close the app first. 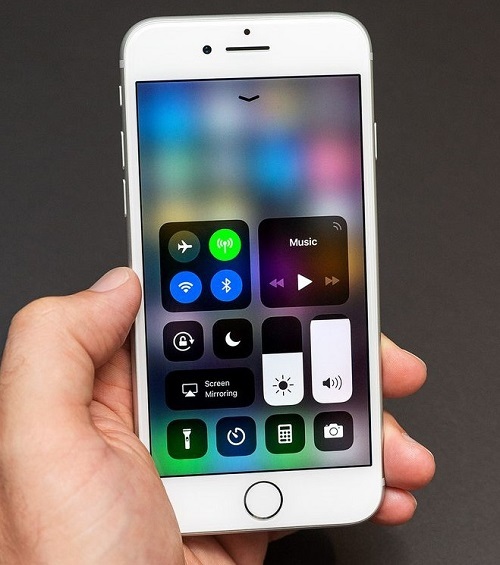 Simply double tap the Home button to get the App Switcher. Now, swipe up the WhatsApp tab to permanently close the app. Once the app is closed, wait for a while, and launch it again. Sometimes, we turn off the notifications on the app and later forget to turn them on. If you have made the same mistake, then you can also encounter the iOS 12/12.2 WhatsApp notification problem. 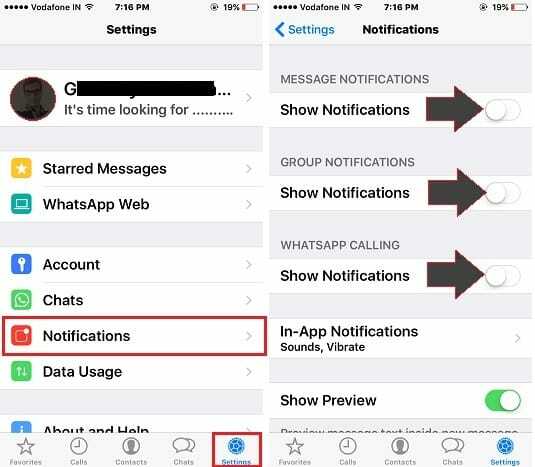 To fix this, go to your WhatsApp Settings > Notifications and turn the option on for messages, calls, and groups. Since WhatsApp groups can be a bit noisy, the app allows us to mute them. This might make you think that WhatsApp notifications are not working on iOS 12/12.2. To fix this, go to the Group settings or just swipe left the group to enter its “More” settings. 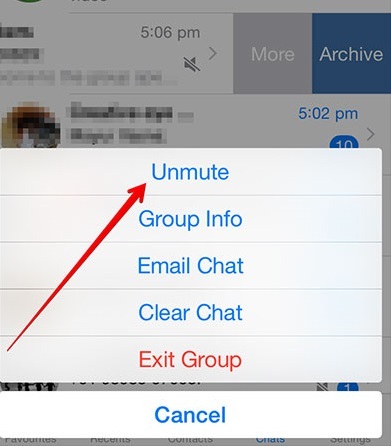 From here, you can “Unmute” the group (in case if you have muted the group earlier). After that, you will start getting all the notifications from the group. Getting the WhatsApp temporarily unavailable prompt on iPhone is a nightmare for any regular user of the app. Since it will stop you from using the app, it can tamper with your work and daily social activities. There might be a problem with your phone’s settings or even WhatsApp servers could be down. We recommend following this quick drill to fix this iOS 12/12.2 WhatsApp problem. Sometimes, users get the WhatsApp temporarily unavailable message on iPhone due to the overloading of its servers. It mostly happens during special occasions and holidays when there is a lot of load on WhatsApp servers. Just close the app and wait for a while. If you are lucky, then the problem will subside on its own. If there is a lot of data on your WhatsApp and some of it is not available, then you might face this iOS 12/12.2 WhatsApp problem as well. 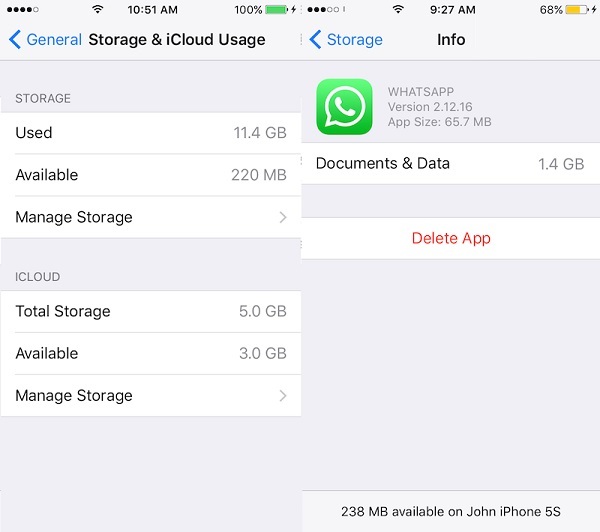 Just go to your device storage settings and select WhatsApp. From here, you can manage WhatsApp storage. 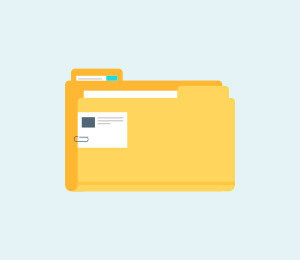 Get rid of anything you no longer need to make more free space on your phone. Since you can’t get rid of WhatsApp cache data directly (like Android) in iPhone, you would need to reinstall the app. Uninstall the app from your phone and restart your device. After that, go to the App Store and install the app again. Make sure you have already taken a backup of your chats before else your WhatsApp chats and data would be lost in the process. Right after updating your device to iOS 12/12.2, you might encounter this problem with a few other apps as well. In order to use WhatsApp, a stable data connection is needed. Though, if the app can’t access the network, then it won’t work. Most likely, there can be a problem with your device’s Wifi settings that would be causing this issue. Before you take any drastic step, first check if your Wifi connection is working or not. Connect any other device to your Wifi network to check it. You can turn off the router and turn it on again to make sure the internet connection is stable. 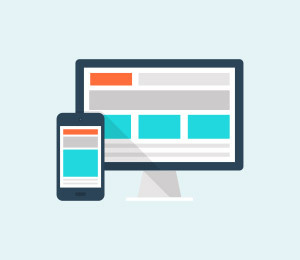 After making sure there is no problem with the connection, move to your iOS device. If the problem is not big, then it can be fixed by simply resetting the Wifi. Just go to your phone’s Control Center and tap on the Wifi option to switch it off. Wait for a while and switch it back again. You can do the same by visiting your phone’s Wifi settings as well. If your phone is not able to connect to a particular Wifi connection, then you can reset it as well. To do this, go to the Wifi settings and select the particular connection. Now, tap on the “Forget this Network” option and confirm your choice. Afterward, set up the Wifi connection once again and check if it fixes the iOS 12/12.2 WhatsApp problem or not. If nothing else would seem to work, then you can choose to reset the network settings on your phone as well. 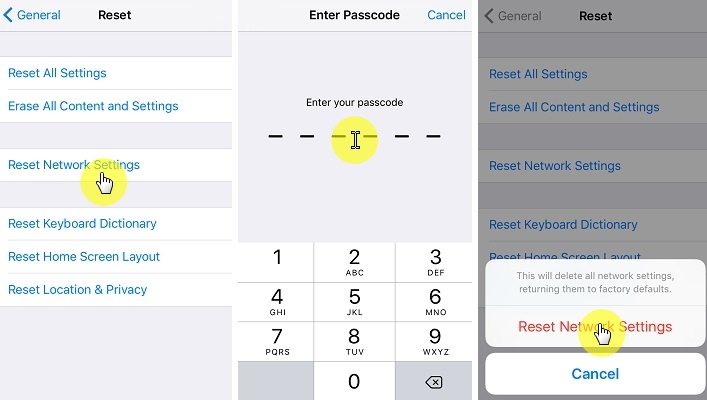 This will restore your iPhone to the default network settings. If there is a clash in the network settings, then it would be resolved with this solution. 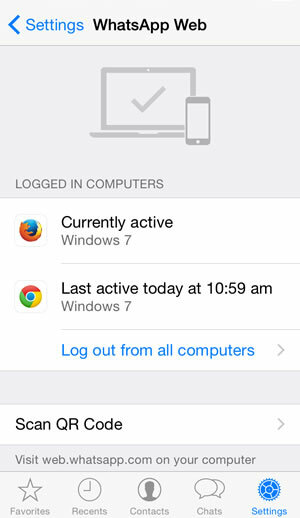 Simply unlock your device, go to its Settings > General > Reset and tap on “Reset Network Settings”. Confirm your choice and wait for a while as your device would be restarted. 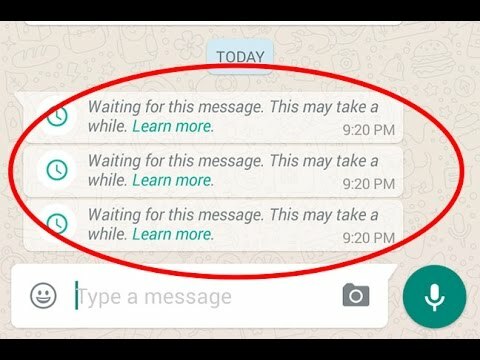 There are times when we get the “Waiting for this Message” prompt while using the app. The actual message isn’t displayed in the app. Instead, WhatsApp simply informs us that we have pending messages. A network preference or WhatsApp setting could have caused this issue. The good news is that this iOS 12/12.2 WhatsApp problem can easily be resolved. First of all, you need to make sure that the internet connection is stable and working. Launch Safari and try to load a page to check it. Also, if you are outside your home network, then you need to turn on the “Data Roaming” feature. 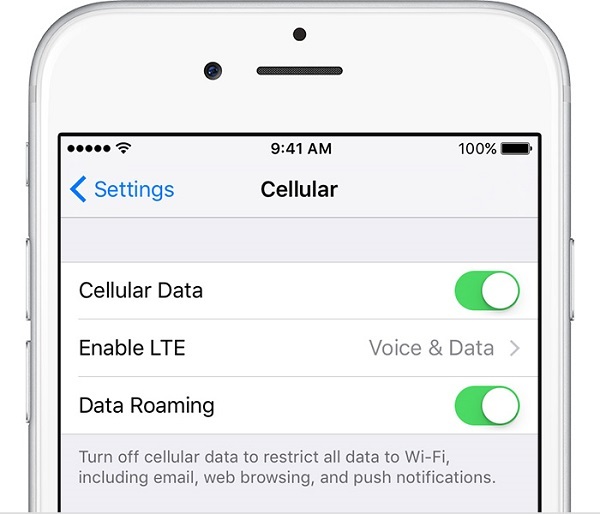 Go to your phone’s cellular data settings and turn the Data Roaming option on. This smart solution can fix a minor network-related issue with your phone. Sometimes, all it takes to fix this iOS 12/12.2 WhatsApp problem is a simple network reset. 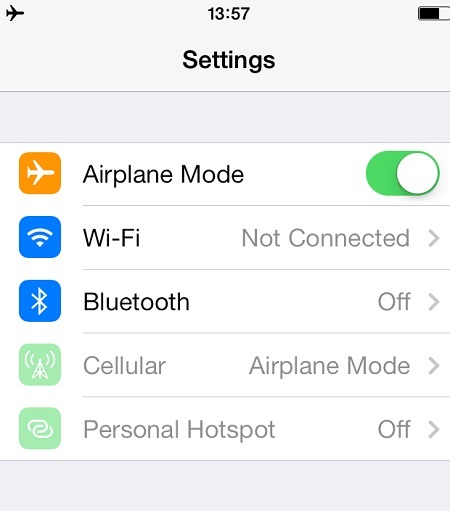 Go to your phone’s settings or its Control Center and turn on the Airplane mode. 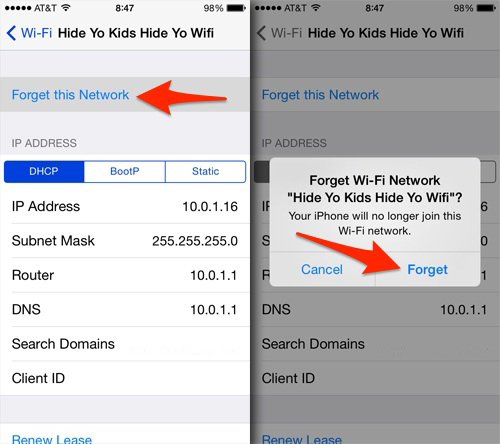 This will automatically turn off your phone’s Wifi and cellular data. After waiting for a while, turn it on again and check it fixes the issue. If a user who is not added to your contact list would send a broadcast message (including you), then WhatsApp will display the pending message prompt. In this case, you can just add the user to your contact list. Once it is done, launch the app on your phone again and the message would be visible. If the WhatsApp server is busy or there is a problem with your phone’s network, then you might not be able to send or receive messages on the app. It might surprise you, but there could be a problem with the network of the other WhatsApp user as well. Simply follow these quick suggestions to diagnose this problem. If the app has been stuck, then it can tamper with the sending or receiving of messages as well. To solve this, double press the Home button. 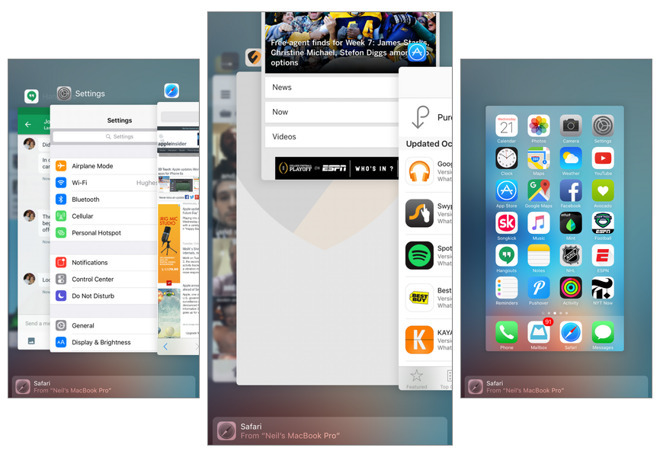 Once you get the app switcher, swipe up the WhatsApp display and permanently close the app. After a while, launch the app again and try sending the message. The most common reason for this iOS 12/12.2 WhatsApp problem is having an unstable network connection. Firstly, make sure that the network connection you are using is working properly. 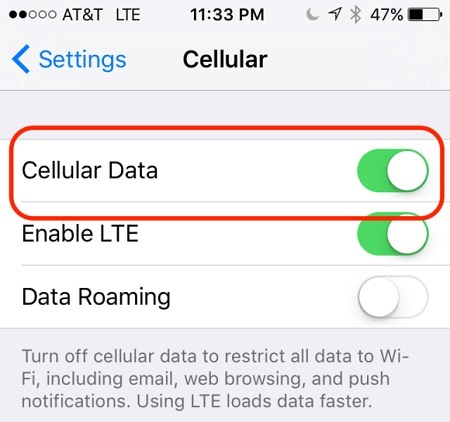 In case if you are trying to access the app with your cellular data, then go to your device settings and make sure the option for “Cellular Data” is enabled. While sending a message, a lot of users complain that only a single tick appears for a message. In this case, there could be a problem with your friend’s connection (the receiver). They could be out of the coverage area or might not be using a stable internet connection. 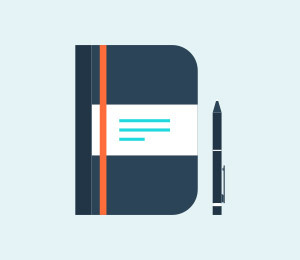 If you can send messages to everyone on your list, except a specific user, then chances are that you would have blocked the person. Alternatively, it can happen that they would have blocked you too. To fix this, just go to your WhatsApp Account Settings > Privacy > Blocked to get a list of all the users whom you have blocked on WhatsApp. If you have blocked someone by mistake, then you can simply remove them from your block list here. As surprising as it might sound, sometimes your contacts might not appear on WhatsApp at all. Ideally, this is a glitch in WhatsApp and we are expected to have a fix with a new update. 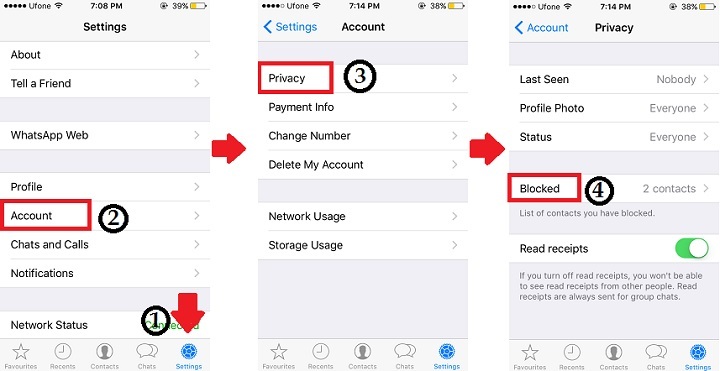 Though, here are some easy solutions to fix this iOS 12/12.2 WhatsApp problem. 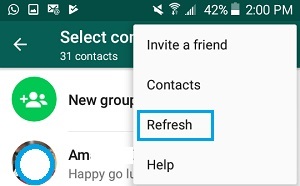 One of the easiest ways to get your contacts back on WhatsApp is by restarting your device. To do this, just press the Power (wake/sleep) button on your device, which would be located on its top or side. 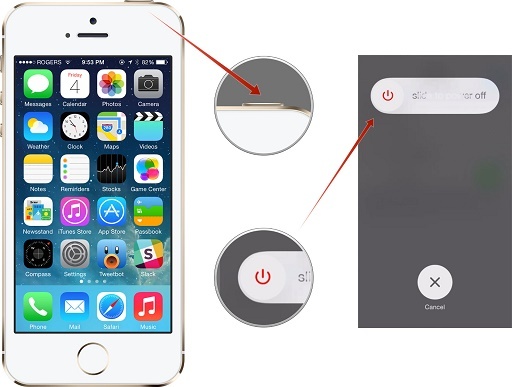 Once the Power slider would appear, simply swipe right, and wait for your device to turn off. After a while, press the Power button again to turn it on. If you are lucky, your contacts would come back on WhatsApp. If you are facing the problem right after the iOS 12/12.2 update, then you need to check its settings. Chances are that your phone could have turned off the syncing of its Contacts app with WhatsApp. To resolve this, go to your phone’s privacy settings > contacts and make sure that WhatsApp is able to access your contacts. Furthermore, even if the option is turned on, you can toggle it off. Wait for a while and turn it on again to reset it. 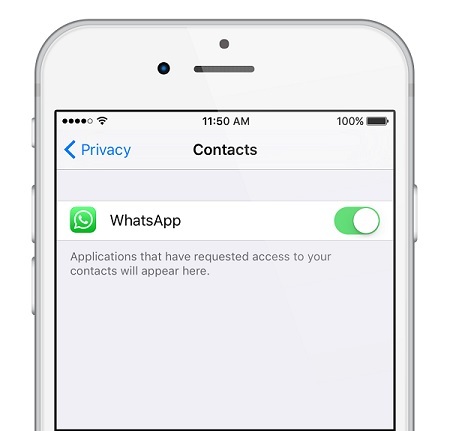 WhatsApp would only be able to access your contacts if they are saved a certain way. If the contact is local, then you can readily save it or add a “0” in front of it. If it is an international number, then you need to enter “+” <country code> <number>. You should not enter a “0” in between the country code and the number. If you are not able to access a recently added contact, then you can just Refresh WhatsApp. Simply go to your contacts and tap on the menu. From here, you can refresh the contacts. Alternatively, you can turn on the Background App Refresh option for WhatsApp as well. 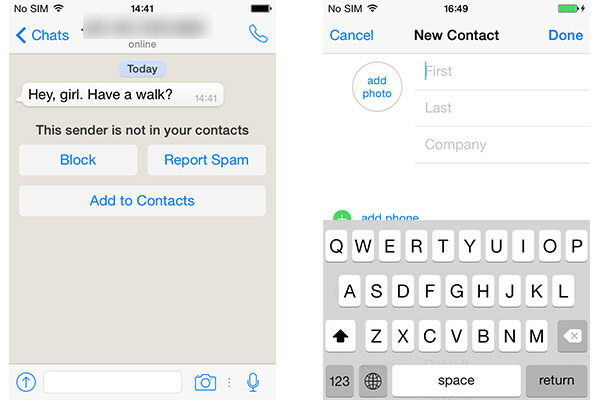 In this way, all the newly added contacts would be reflected in the app automatically. Last, but most importantly, make sure that the other user is also using WhatsApp actively. If they have uninstalled the app or have not created their account, then they would not appear in your contact list. By following the above-mentioned tips, you would be able to fix all the major iOS 12/12.2 WhatsApp problems for sure. Though, after updating your phone to iOS 12/12.2, you might encounter some other problems as well. In order to fix all these major iOS-related issues, you can give dr.fone - Repair (iOS) a try. 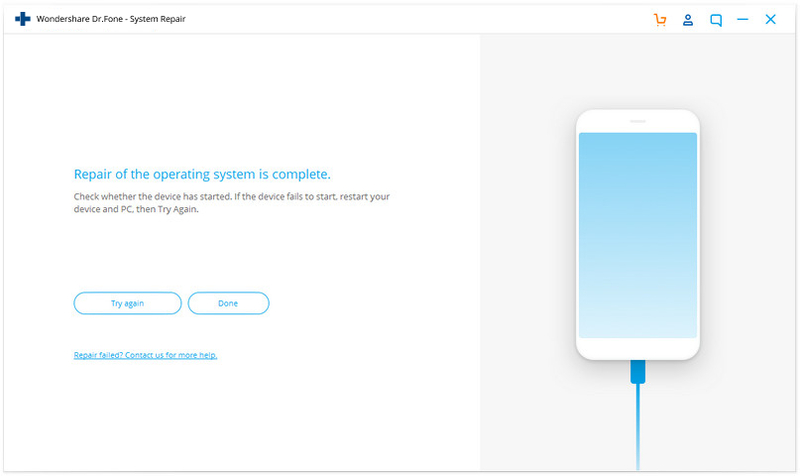 The application is developed by Wondershare and can resolve all kinds of iOS issues without causing any harm to the device. Here are some of its features. 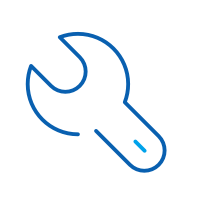 From the white screen of death to an unresponsive device and iPhone stuck in reboot loop to a bricked phone – the tool can fix all kinds of iOS problems. It is compatible with iOS 12/12.2 and can resolve any minor or major glitch you are facing after the update. 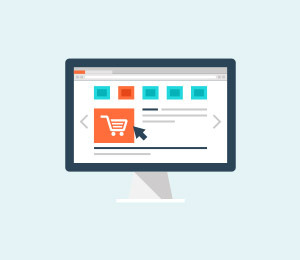 The tool can also fix common iTunes and connectivity errors as well. 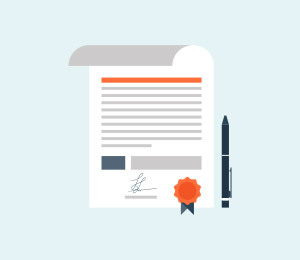 The application will retain the existing data on your phone while fixing it. Therefore, you won’t suffer from any data loss. 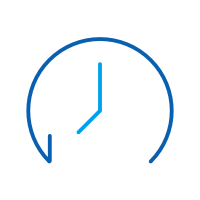 It will automatically update your device to a stable iOS version. 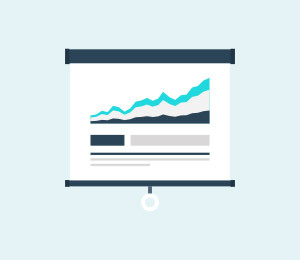 The tool is extremely easy to use and comes with a free trial version. Great! Now when you know how to fix these common WhatsApp problems in iOS 12/12.2, you can certainly make the most of the new update. Be sure that you are using the latest version of WhatsApp and that your phone has been upgraded to a stable iOS 12/12.2 version. In case if you are facing any other kind of issue with your device, then simply take the assistance of dr.fone - Repair (iOS). A highly sophisticated tool, it will certainly come handy to you on numerous occasions. Got your iPhone bricked when updating to iOS 12? Don't be frustrated. You can still fix your iPhone without losing any data on it. Check out more. Are you facing an unwanted iOS 12 WhatsApp problem after the update? From WhatsApp crashing on iOS 12 to messages not getting delivered – we have solved it all.